Didn't pick the best time to go to Oslo, as most things were shut. 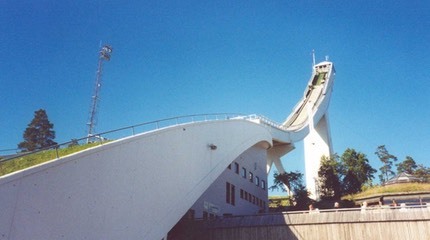 Recommend a visit to the ski jump at HolmenKollen. You can go up to the top, where the view is stunning. Anyone who jumps off that must be mad!. Took a great trip on a train to the seaside resort of Tronberg. The main drag has loads of street artists which we were listening to, when I said "at least there aren't any Peruvian pan pipes here!" - just as the faint sounds of a mariachi band came into earshot.